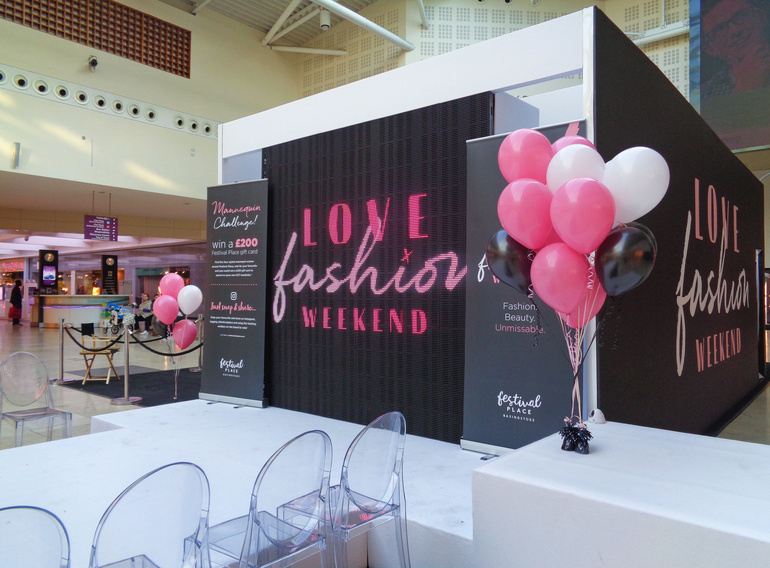 Two weekends ago, I was invited by the lovely team at Festival Place in Basingstoke to their Love Fashion Weekend which ran the 29th and 30th April, coinciding with their fabulous Student Takeover which ran from 7pm - 9pm, jam-packed with special discounts, makeovers and stomping catwalk shows! I was super excited (and extremely flattered) to be able to cover the event as a student ambassador, given the amount I've worked with Festival Place in the past! I also love nothing more than a bargain or two, especially when I'm as poor as anything right now. Myself and Jack arrived in the afternoon, which gave us a bit of time to have a look around the shops and grab some lunch! 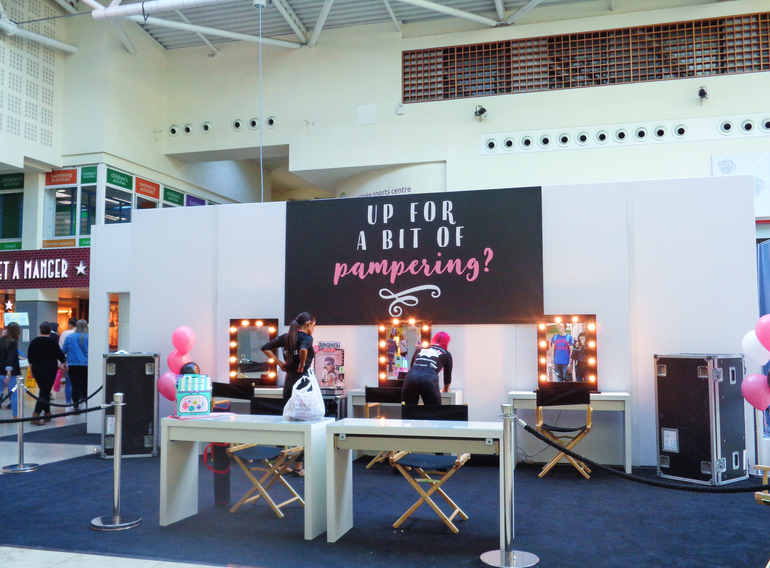 Catwalk shows started around 11am running regularly until 3pm, as well as mini-pampering sessions and consultations in the Health and Beauty Lounge ran by wonderful makeup artists from the likes of Benefit and Urban Decay! I realised after editing that our cheeky selves appear in one of the mirrors, oops! hahaha. We chilled in the afternoon until the Student Takeover began in the evening at 7. I've been to a few student nights before, and they can be pretty fun if you're on the lookout for something in particular or in need of something more expensive but the student budget isn't quite allowing you! Lots of the usual student discount offerings such as New Look and Topshop offered boosted discounts as well as lots of other well-known stores like Warehouse, French Connection and Gap! I picked up a few bits which was much nicer on the pursestrings. 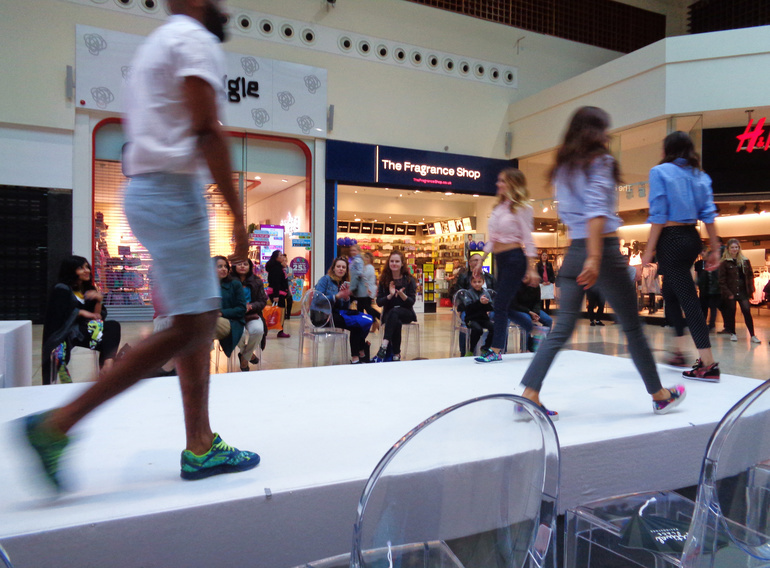 We also caught one of the catwalk shows, beginning at half 7 featuring a host of fantastic brands showcasing the sassiest of spring and summer looks from 25 of the shopping centre's biggest retailers, who were all offering student discount! There was plenty of colour and cuts to fit all shapes and sizes, wonderfully presented by London Live stylist JP! It attracted quite the crowd once it got going! Around 8 me and Jack were ready for a cocktail or two after a few hours of shopping, and so we headed over to Las Iguanas, who had a special 2 for 1 offer on their cocktails until 9pm! At £8.75 for glasses or £18.95 for pitchers, it was good value with a really wide choice on offer! After much deliberation, we decided on Pink Passionfruit (my choice) and a limited edition Chocolate Batida (obviously Jack's)! They were perfectly a sweet ending to top off a shopping-filled day at Festival Place! Do you like student shopping nights? Thanks for reading!